A silly school-themed sequel to the popular Step 1 Reader Big Shark, Little Shark! Everyone's favorite odd couple (of sharks) returns in this funny Step 1 book! And now it's time for school! Big Shark and Little Shark continue to be opposites in every way. 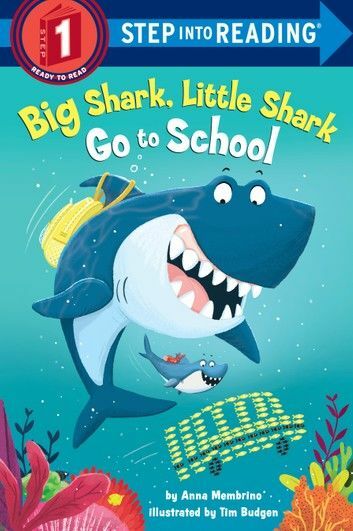 Little Shark is excited for school and shows up to the bus stop early. Big Shark...doesn't show up at all! Will Big Shark and Little Shark be late on their first day?